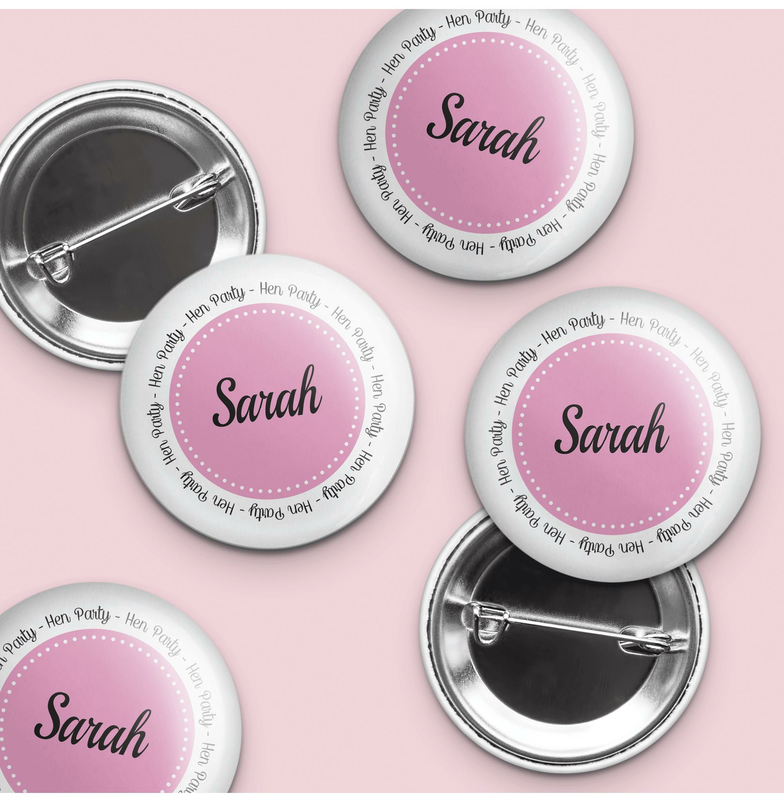 Personalised hen party badges, which enable you to have all of the individual names of the hens on each badge. These personalised name badges work really well when people are meeting each other for the first time. Made in-house just for you to your own specifications these badges have a metal front and are of a high quality.